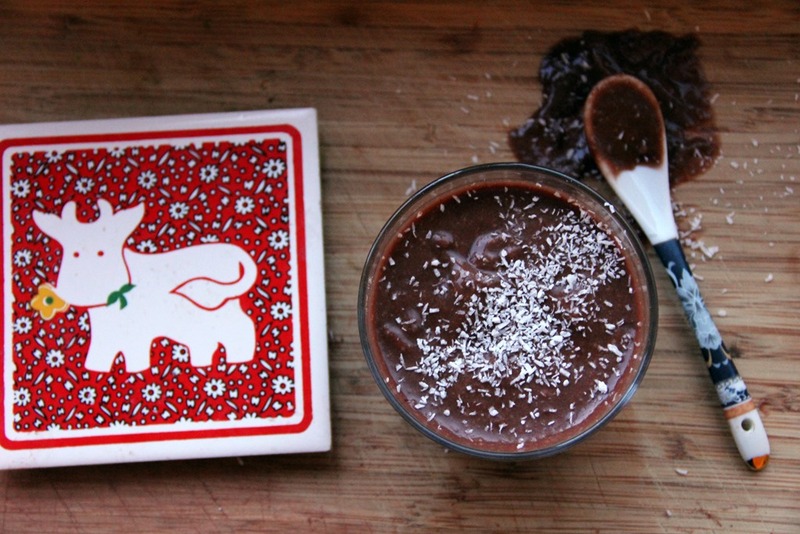 Now here’s a cow-friendly alternative to chocolate pudding. 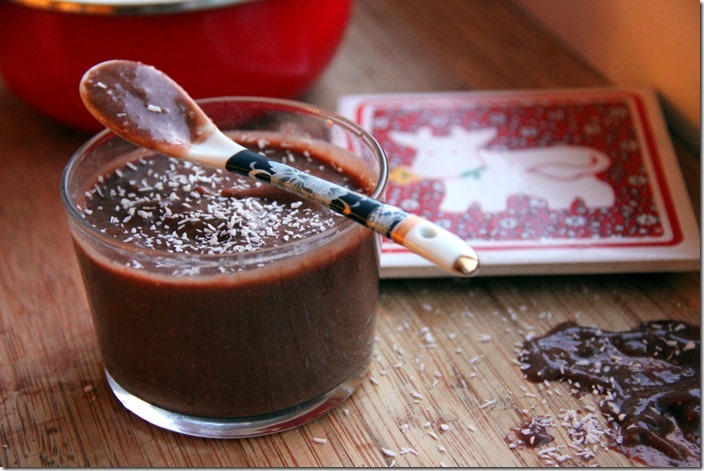 It’s a simple, clean chocolate pudding with a banana base. I’ve sweetened the mix with coconut palm sugar, which is a low-glycemic sweetener and added a bit more bulk with coconut butter (different from coconut oil). 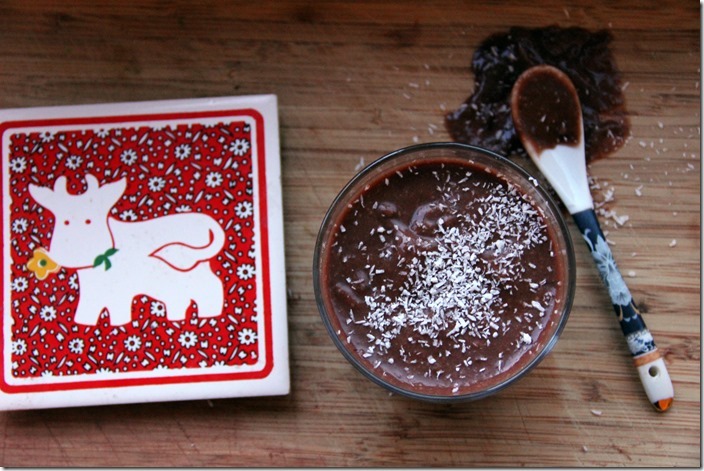 The result is a care-free, slimming chocolate pudding that combines a chocolate fix with figure-friendliness. Enjoy! 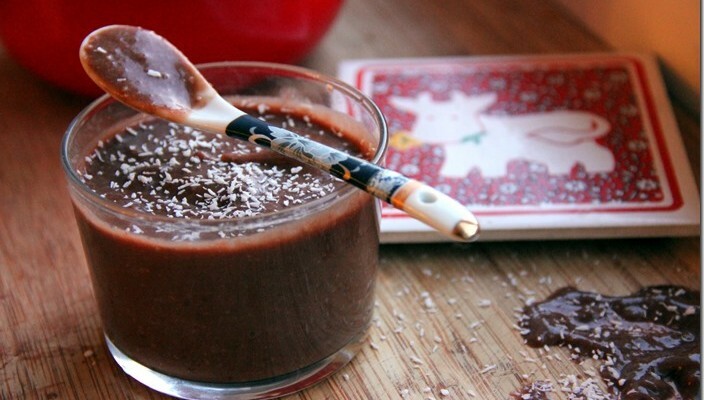 This entry was tagged chocolate pudding, detox recipes, easy healthy recipes, going vegan, good vegetarian recipes, great vegetarian recipes, healthy, healthy breakfast recipes, healthy dessert recipes, healthy dinner recipes, healthy food recipes, healthy recipes, heart healthy recipes, how to become a vegetarian, pudding, quick vegetarian recipes, simple vegetarian recipes, vegan, vegan essentials, vegetarian, veggie recipes, what is a vegan, what is vegan. Bookmark the permalink.